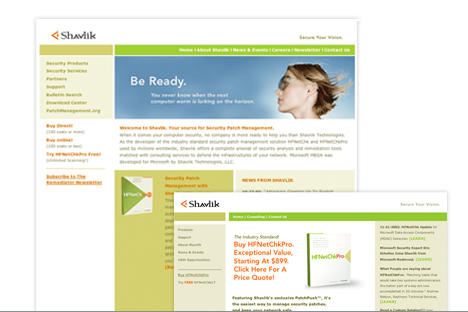 In January 2002, Shavlik Technologies was a successful IT consulting firm that also sold a small line of Computer Security Software products in the area of patch management and vulnerability management. Total sales were roughly $1.8 million. Seeing an opportunity, Principal Mark Shavlik hired Zosel&Co to help promote a new security patch management solution called HFNetChkPro in mid July of 2002. After making a minor refinement of the Shavlik brand, Zosel&Co created online and print media plans, brand advertising, banner advertising, and a complete website makeover. 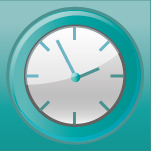 With a complete arsenal of marketing tools in place, sales for HFNetChkPro were approaching $15 million by July of 2003. Today, Zosel&Co continues to maintain the Shavlik brand, as well as develop lead generation programs, banner and print advertising, tradeshow promotions, collateral and more.